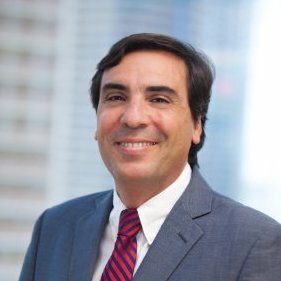 Federico Gil Perez, co-founder of Gil de Luna, helped launch startups within larger companies for years before deciding to launch his own venture. "After my first job after university at a consulting firm, I moved to a big media communications group that was involved in three startups and a merger," he said. "I worked in these big corporations but started new businesses inside these large companies. I then moved to a company to help them launch a new division in the medical device area. When that company was acquired, I had the choice to continue as CFO but decided to start my own business instead. I saw the opportunity to form Gild e Luna because people were bringing me business and asking me for advice as a result of their trust in me. I really enjoyed it and enjoy helping people. Most important for me is recognition from my customers that I made a difference in their business." Gil de Luna is a CFO consulting firm that provides full time, temporary or mentoring CFO services for businesses of any size. "We also invest in startups," Gil Perez explained. "We can inject capital in startups or capital plus CFO services. Our consulting arm is helpful for companies that are selling or merging and need financial projections and valuations for investors but don't have the size to hire a full time CFO. We have two investment projects and expect to grow that in the long term. We view both the consulting and investment sides as complementary." Gil Perez prides himself on being a trusted advisor. "On the consulting side, many of our customers are family owned businesses where the first thing you need is to establish a relationship of trust," he said. "Our customers are very satisfied with the work we've done because they see us as a partner. We've been involved in situations dealing with the second gen of a business family where you have to mediate between two generations and they've trusted us to do that. Our differentiator is that we build these trusting relationships." Gil Perez's advice for aspiring entrepreneurs is to fire bullets before cannonballs. "Test your idea in an inexpensive way and then analyze your numbers to see if it makes sense from a business perspective," he said. "Also, listen to your customers to learn what they want."